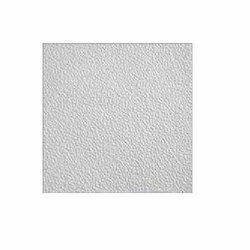 Prominent & Leading Manufacturer from Nagpur, we offer assorted fine fissured mineral fiber tiles, pvc laminated gypsum ceiling tiles, laminated gypsum ceiling tiles, pvc gypsum ceiling tiles, gypsum ceiling pvc laminated tiles and lay in plain tile. The pin hole tiles with Assorted Fine Fissured Mineral Fiber Tiles made available by us are modern plain tiles that feature random perforations which help to provide in these exclusive designed and constructed tiles flawless contemporary looks as well as superior acoustic performance. 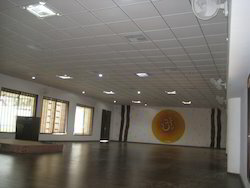 Having in them properties to provide acoustical ceiling, these tiles are designed for absorbing excess sounds and bringing the reduction in the generated noise levels. 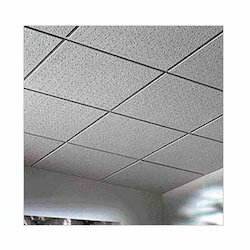 Other than this, these ceiling tiles also have excellent thermal and sound absorption qualities and are highly suitable for use in all interior areas. 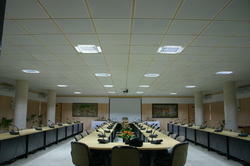 We are one of the leading names in the industry for manufacturing an extensive range of Laminated Gypsum Ceiling Tiles. These can be used in restaurants, educational institutional buildings, colleges, offices, schools, waiting rooms, kitchens, hospitals, shops malls, conference rooms, auditoriums, convention halls, cafeterias, residential rooms, workshop areas, and many other areas. 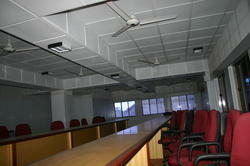 We are one of the leading names in the industry for manufacturing of PVC Gypsum Ceiling Tiles. 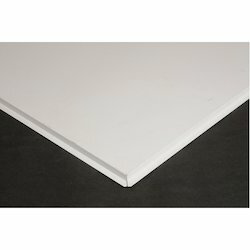 We are one of the leading names in the industry for manufacturing, supplying, distributing, wholesaling, retailing and trading an extensive range of Gypsum Ceiling PVC Laminated Tiles. 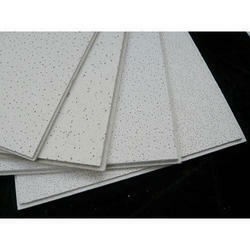 We are offering Lay In Plain Tile to our clients. 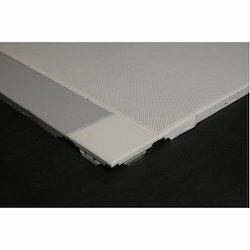 We are a unique name in the industry to provide our prestigious clients an exclusive range of Metal Ceiling Tile.These tiles are strong, resilient lightweight and dimensionally stable, and can withstand impact from non-deliberate contact. 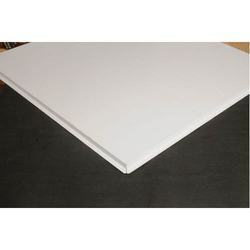 Mineral Fiber Ceiling Tile can easily be laid in a pattern or single layout and is suitable for residential and commercial installations including kitchens, offices, living room, and bathrooms etc. 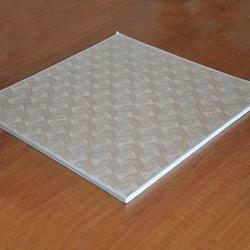 Our company has earned accolades in offering Metal False Ceiling Tile to the clients. It is made by using quality material and sophisticated technology under the guidance of our professionals. Offered range is widely demanded by the esteemed customers for characteristics like easy to install, elegant design and attractive look. 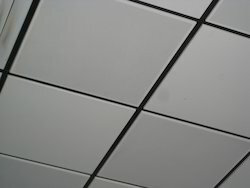 We are a unique name in the industry to provide our prestigious clients an exclusive range of Steel Ceiling Tile.These tiles are strong, resilient lightweight and dimensionally stable, and can withstand impact from non-deliberate contact. Fine Fissured Mineral Fiber Tiles offered by us are medium-textured tiles that feature in them superior usage versatility and long lasting performance capabilities. For ensuring best installations for these ceiling materials, the installers should ensure that tiles have room temperatures as well as stabilized moisture content. 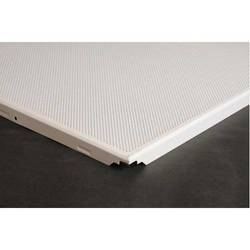 Further, though the tiles are more abuse-resistant than other similar tiles available in the market, it is not advisable to use threes acoustical ceiling tiles at places that have low walls or ceiling surfaces where these have a greater possibility of getting damaged. Assorted Sand Face Mineral Fiber Tiles made available by us are recognized in the market for their rough surface texture that helps in retaining moisture as well as allows quick weathering. Here, our expertise lies in making these available in different color combinations so as to perfectly match up with the ambiance of the surrounding areas as well as providing a rich finish look to the whole surroundings. Being a highly versatile product, these also carry on them greater design flexibilities that make them the preferred choice of the customers. 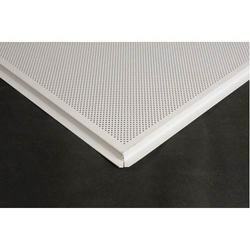 Assorted Pin Hole Mineral Fiber Tile offered by us help in providing mineral fiber acoustical ceiling solutions and find extensive application usage in residential, commercial, institutional and industrial spaces. 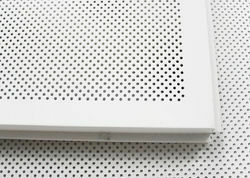 With these tiles carrying on its surfaces perforations of varying diameters, this unique constitution help in enhancing the acoustic as well as sound absorbing properties of these tiles, thus providing for the needs of a quieter room environment. Further, these come in a high decorative finish that adds on to the aesthetics of the ceiling spaces where these are applied. 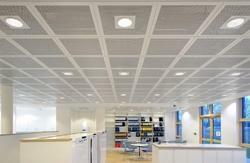 High sound absorption qualities that bring a reduction in indoor noise and improves acoustical quality. 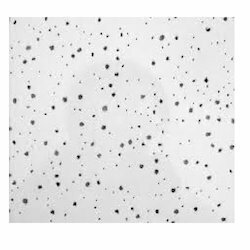 Pin Hole Mineral Fiber Tile offered by us comprise modern plain tiles that come with perforations that provide these tiles a rich contemporary finished look as well as also help in enhancing the acoustic performance of the rooms where these are installed. Here, our production team ensures that the mineral fiber ceiling panels offered strictly comply with the design construction standards including a firm finish. 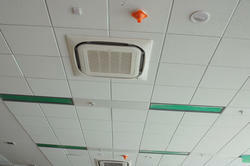 Acoustical False Ceiling Tiles are specially designed to reduce noise by absorbing excess sound. 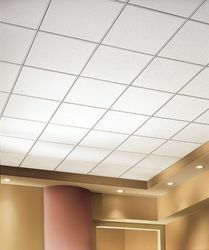 New age ceiling tiles are manufactured from mineral fiber wool. 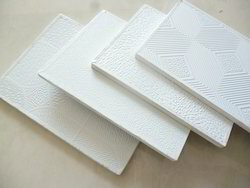 These tiles have excellent thermal sound absorption qualities. 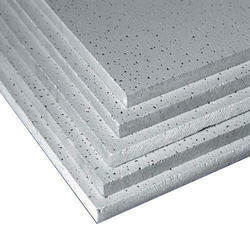 Due to mineral wool content, these tiles are termite resistant. They are suitable for use in all interior applications. 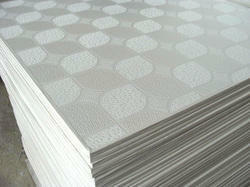 The tiles are very easy to handle and store because of their lightweight.